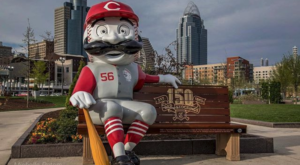 Cincinnati has an incredible history and there is evidence of it all over town. 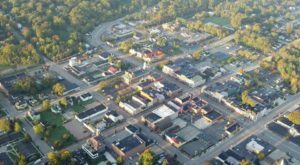 From historic buildings to landmarks reminding us of what once was, it’s easy to get caught up in the intriguing past of the Queen City. 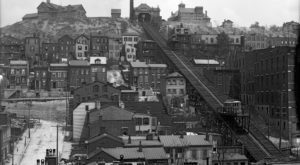 And while it’s nearly impossible to determine the oldest photos ever taken of our city, we’ve rounded up several that are all over 100 years old! The amazing thing is, while some of these photos look vastly different from today, many things still feel the same. 1. 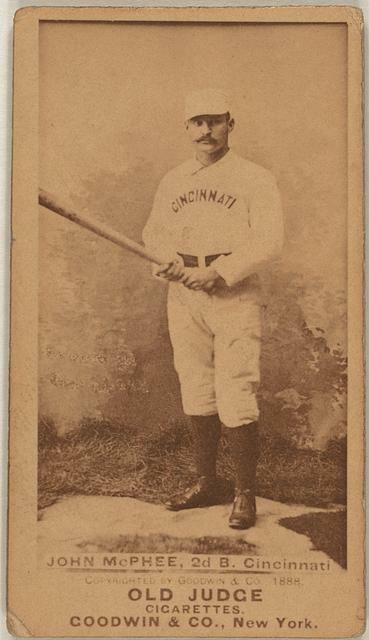 With the Cincinnati Red Stockings known as the first professional baseball team, there are bound to be a few old photos documenting their past. This is an old baseball card from 1888 of player John McPhee. 2. This may be a bit west of Cincinnati, but it was too incredible not to share! 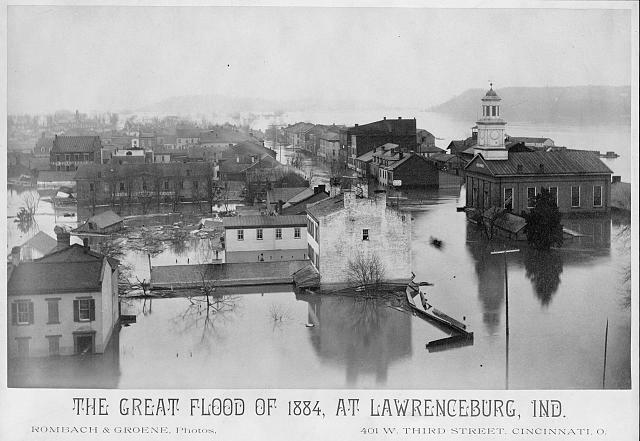 Shown is the great flood of 1884 in Lawrenceburg. 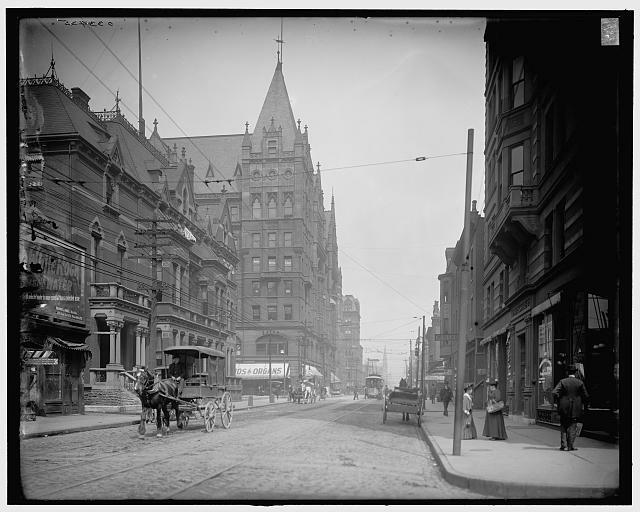 Do you recognize any of the buildings that are still there today? 3. 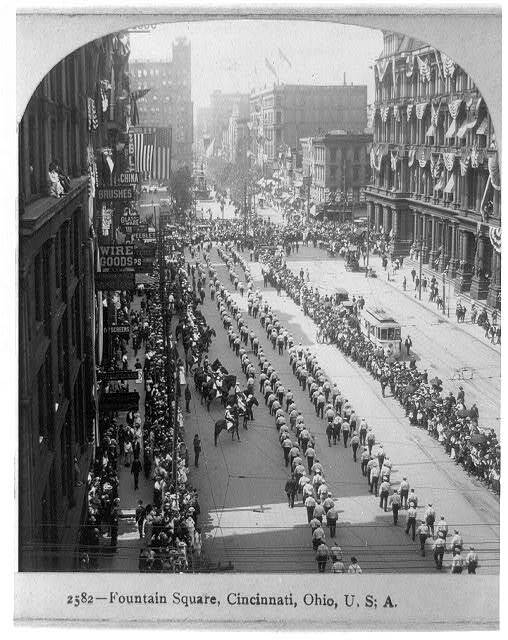 We have many parades downtown today, and this photo depicts one from 1904. It shows large crowds of people on the downtown blocks, viewing a procession of men parading down the center of the street. 4. 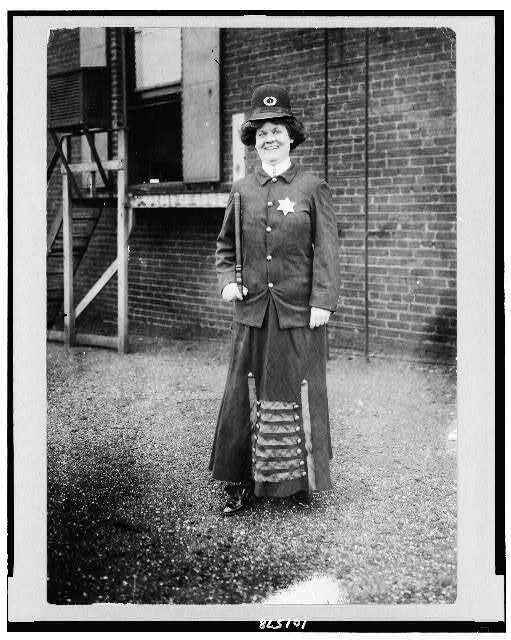 Women's rights were a huge issue in 1908, and this photo shows a woman proudly posed in police uniform to demonstrate the concept of women police officers. 5. The rest of these photos were all taken between 1900 and 1910. 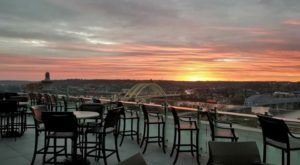 Have you visited this Cincinnati destination that still stands today? Here's The Cincinnati Art Museum, atop the hill in Eden Park. Library of Congress / Detroit Publishing Co.
6. 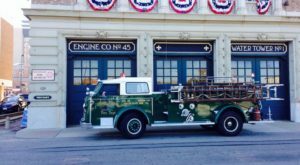 Today we gather at the riverfront and enjoy the parks, festivals, and fireworks. 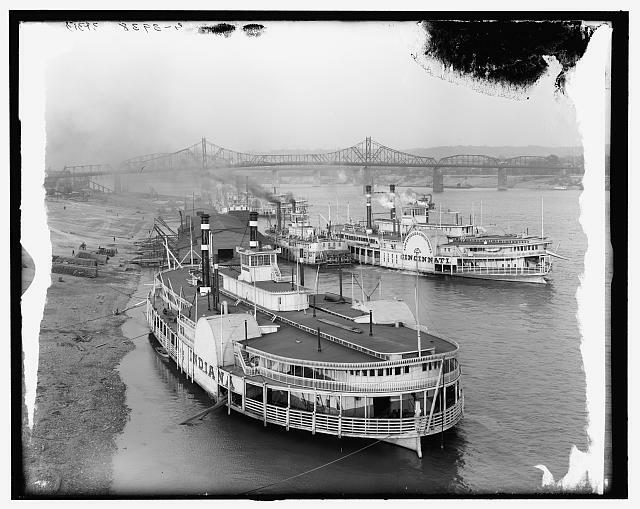 In the early 1900's, the banks were simply that - a dirt riverbank, often occupied by riverboats. 7. If you add modern day crowds and cars to this scene, not much has changed. 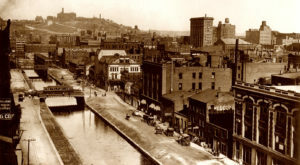 This photo shows Fifth Street and Race Street. There are definitely a few recognizable buildings here. 8. Next we head downtown to Elm Street, complete with dirt road and horse and buggy. And do you recognize that landmark building down on the left? 9. 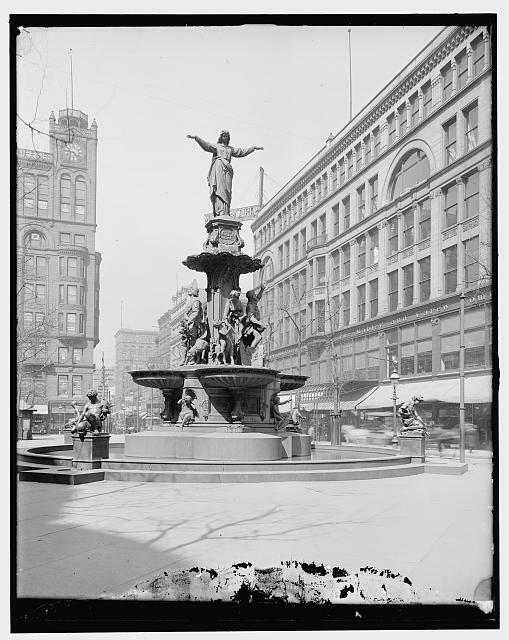 Still a popular gathering place, the Tyler Davidson Fountain was dedicated in 1871. This shows its original location, as in 2006 it was temporarily removed while the square was renovated and then reinstalled further back from the street. 10. 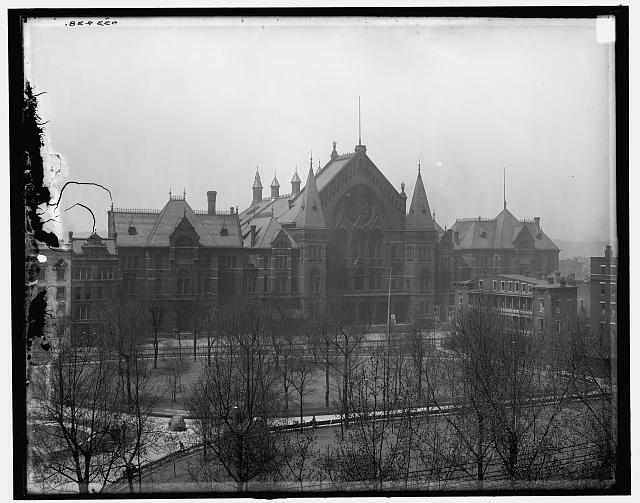 Music Hall in the early 1900s looks much the same as it does now, especially considering it is undergoing an intensive restoration. 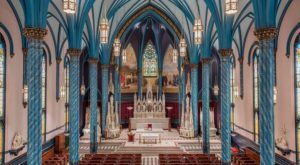 This stunning building was completed in 1878 and remains one of the most-loved structures in our city. 11. With all of the hills in Cincinnati, this only makes sense. This photo shows a trolley system, heading up from downtown. 12. Everyone knows the views of downtown from Mt. Adams are superb. 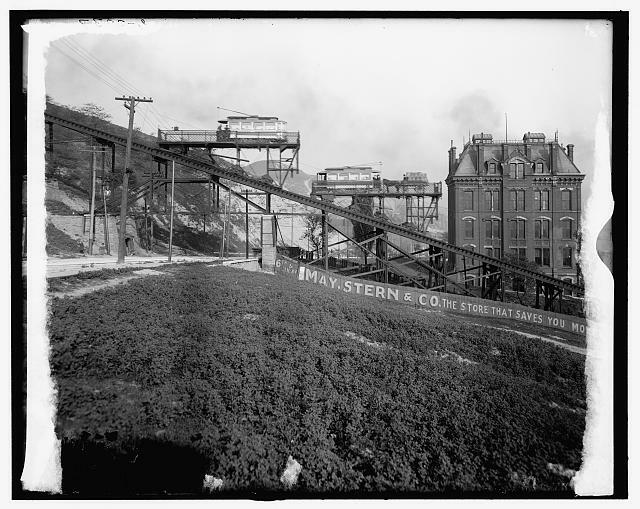 It was no different around 1900, as this photo from the top of the incline shows! 13. 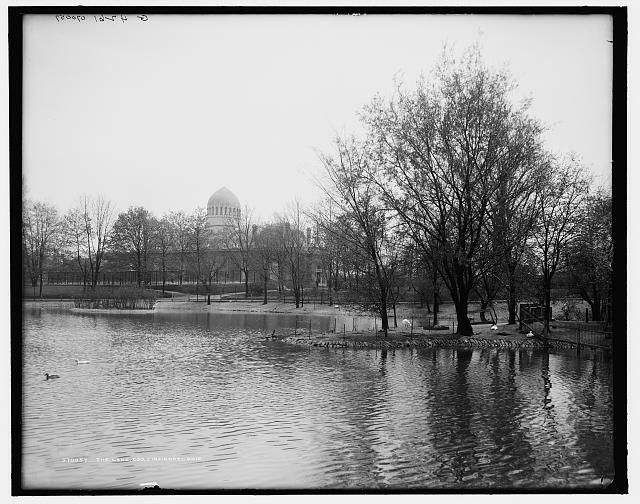 If you don't recognize this lake, maybe the dome in the background rings a bell? 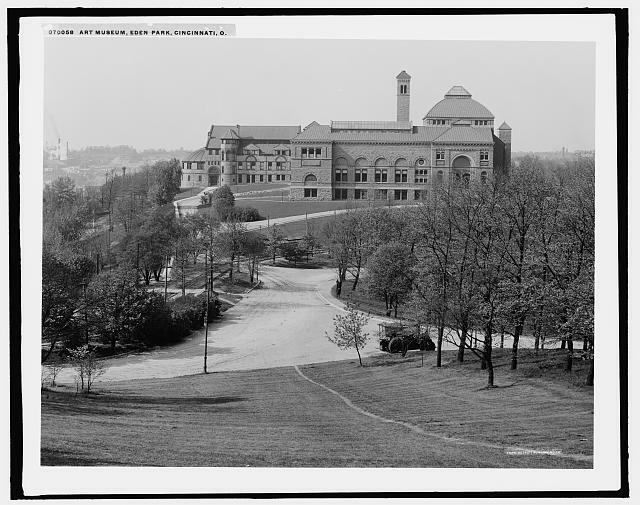 The historic elephant house at the Cincinnati Zoo was built in 1906 and this photo shows it at about that time. 14. Finally, the Mt. Adams Incline was a sensible solution to get from the bottom to the top of this large hill. 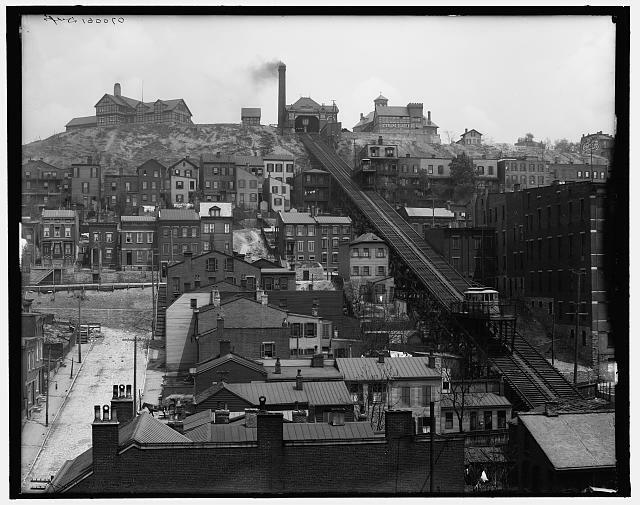 In this photo, you can also see the historic Rookwood Pottery building that still anchors the hill today. 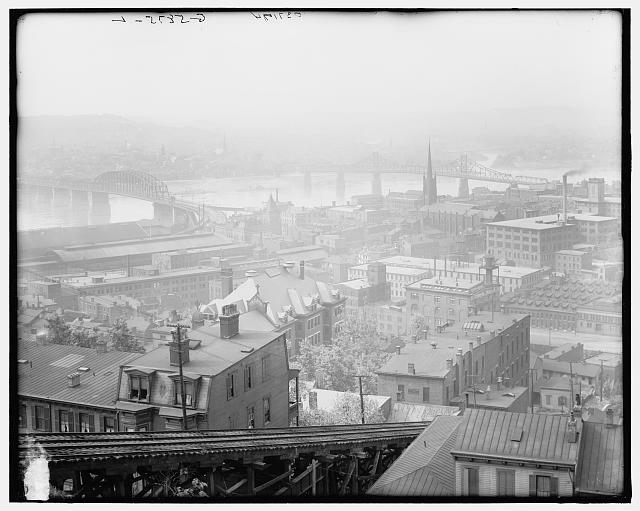 You could spend days looking at old photos of Cincinnati, imagining what life was once like in our city. 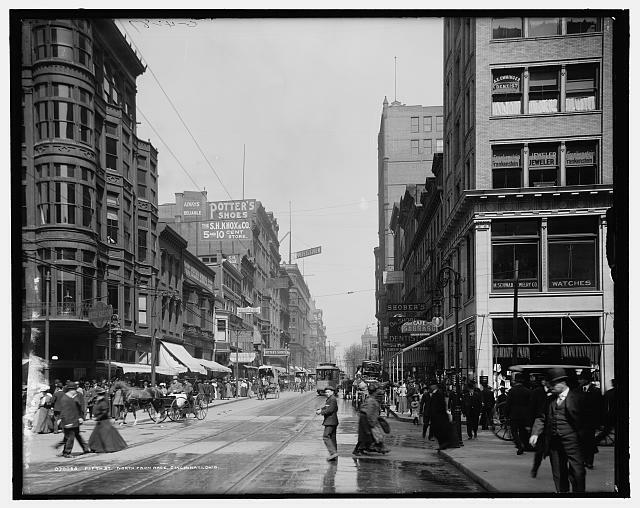 It’s incredible to think that in 100 years, Cincinnatians will look back at our photos and marvel at our way of life. 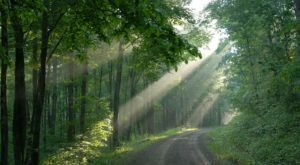 What do you think of these photos? Share your thoughts with us in the comments! And for more vintage photos of Cincinnati, check out our article that features the best of the 80s in Cincinnati here.